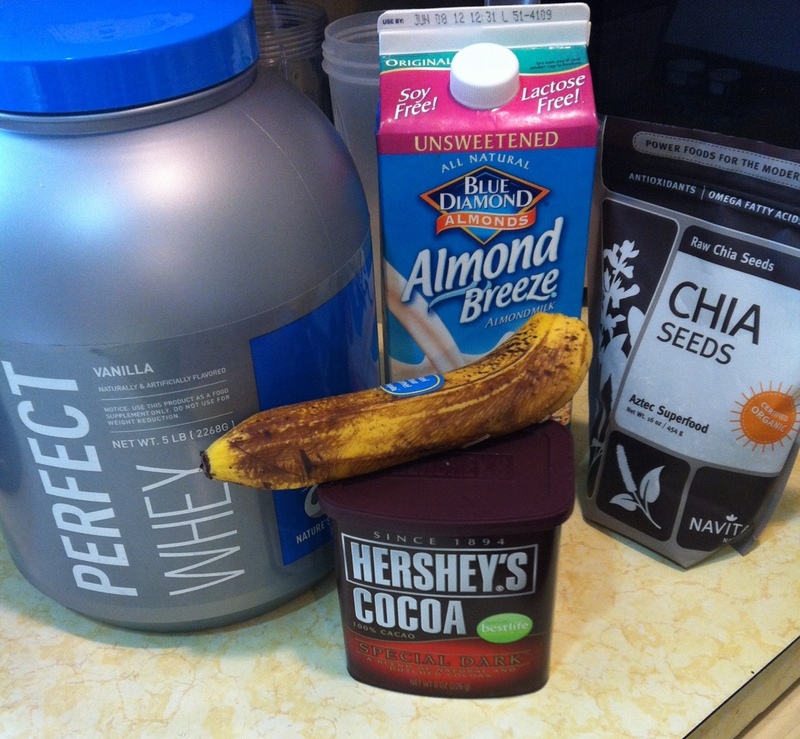 Today I made a new recipe for a post workout shake that was so good I just had to share. After a killer power hill climbing spinning class with my Reaction team this morning I made sure to fuel up with this shake. Blend all together and enjoy! When preparing ahead of time, try freezing the banana already peeled and cut to make the shake thicker. I have been searching for recipes like this one lately. I too have invented a few I will be sharing soon. This sounds delish, thanks for sharing! Do you know of a good non-dairy protein powder?? I’m sorry, I don’t. I only use whey protein as I don’t have any dairy issues. I just know that Whole Foods sells a good selection of non-dairy protein powders. Thanks for the reply 🙂 I’ll go check them out.